Unfortunately, in Florida, boating accidents are a regular part of our weekly news and, according to the Florida Fish and Wildlife Commission’s Boating Accident Statistical Report, they’re also on the rise: between 2014 and 2015, there was a 14 percent increase in the number of boating accidents. Sadly, this includes 55 people who died as a result – just in one year. 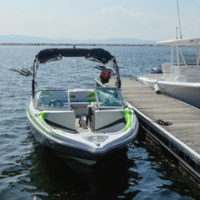 While the Commission reports that falling overboard (and drowning) continues to be the leading cause of boat-related fatal accidents, it is noteworthy that close to 90 percent of these victims weren’t wearing a life jacket at the time of the accident. In fact, this type of incident happens to at least one person a week in Florida. It is also important to note that many of these accidents are also due to boat operators simply failing to pay attention to what’s happening around their vessel, placing everyone on their boat – and many others out on the water that day – in danger. Nearly half of all boating accidents in 2015 involved collisions, with more than 30 percent of these collisions due to simple inattention of the boat operator and/or someone failing to maintain a proper look-out; 737 boating accidents in 2015 alone are simply too many and too many people have gone missing, never to be found. In addition, where there is a personal injury beyond simple immediate first aid, including any injury involving death, a disappearance which could involve injury or death, or damage to the vehicle of at least $2,000, the operator(s) of the vessel(s) involved must provide notice to the Florida Fish and Wildlife Commission, the county sheriff, or the police chief of the relevant municipality. And anyone who operates a vessel with willful disregard for the safety of people or property will be cited for reckless operation, which is a first-degree misdemeanor. All of these circumstances affect any personal injury claim(s) brought by those injured or the families of those killed in boating accidents. When someone is seriously injured or killed due to a boat operator’s poor judgment, Fort Lauderdale boat accident lawyer Lee Friedland and his team at Friedland & Associates can help. We fight to ensure that boating accident victims get the medical attention and compensation they need in order to recover and get back on their feet. Contact us today for a free consultation; we aggressively serve clients in Fort Lauderdale and surrounding areas.